One never stops learning!! Each time I return to Sicily, I seem to feel inspired and look at my surroundings from different perspectives, always seeing the old from a different angle. Yesterday, while driving to a beach on the Eastern Coast, a drive I have done many many times, I discovered details on the way that I had never noticed in the past. Then, while at the beach itself, I went to the cafe’ for a much needed coffee and sat in front of a row of potted plants. One of the plants just caught my attention. As I looked at it, I thought the fruits on that tiny tree reminded me of tangerines. As the owner of the facility was sitting close-by, I turned to him to ask: “Is this a tangerine?” To my biggest surprise, he replied it was not!!! I then proceeded to ask him what that plant was and he proudly replied that the plant was Chinotto. Now, my entire life I have known a drink, in Italy, called Chinotto, and frankly, I have never liked it due to its bitter taste. Since that conversation at the beach, I have done a little research and learned that indeed Chinotto is a citrus fruit also known as Citrus Myrtifolia, due to the shape of the leaves that resemble the shape of the Mirto leaf, AKA Myrtle. 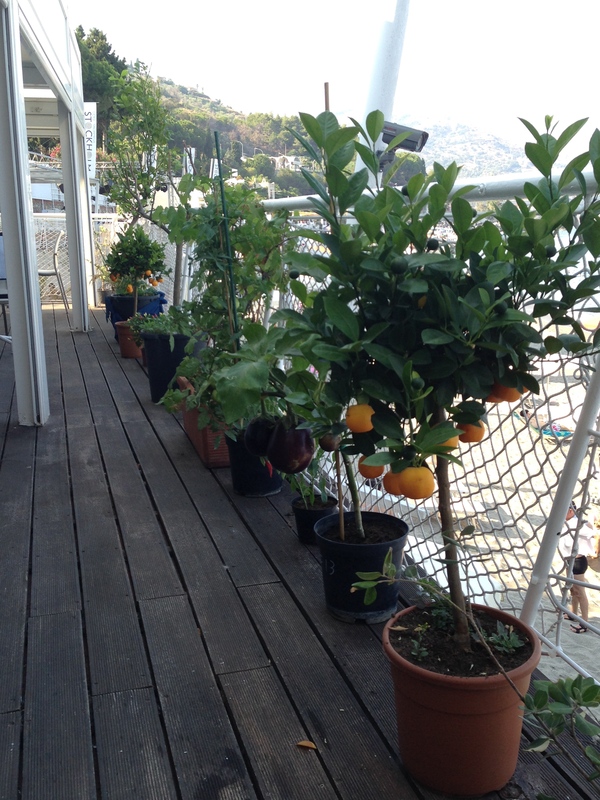 As I read about this plant, I learned that the fruits ripen in June but can remain on the plant as long as two years. The facts on the origin of the plant are contradictory; some sources state it is a Mediterranean plant, others state its origins are in Southern China. What I found fascinating was that after this discovery, in a land where Chinotto drink is quite popular, so many people I asked about the plant had never seen one themselves. I am intrigued and fascinated by all of this. 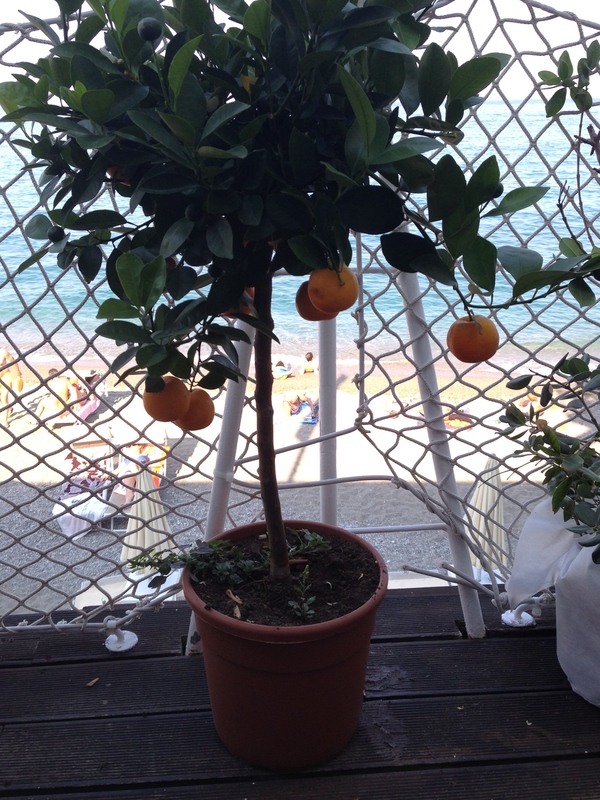 The picture below portrays the Chinotto plant I encountered at the beachfront and as its owner stated, it has grown in this location, in front of the sea developing an affinity to the sea and he will leave it right there year-round and never move it! Finally, it was interesting to learn that Chinotto is also one of the main ingredients in Campari, an Italian drink known around the world!! !